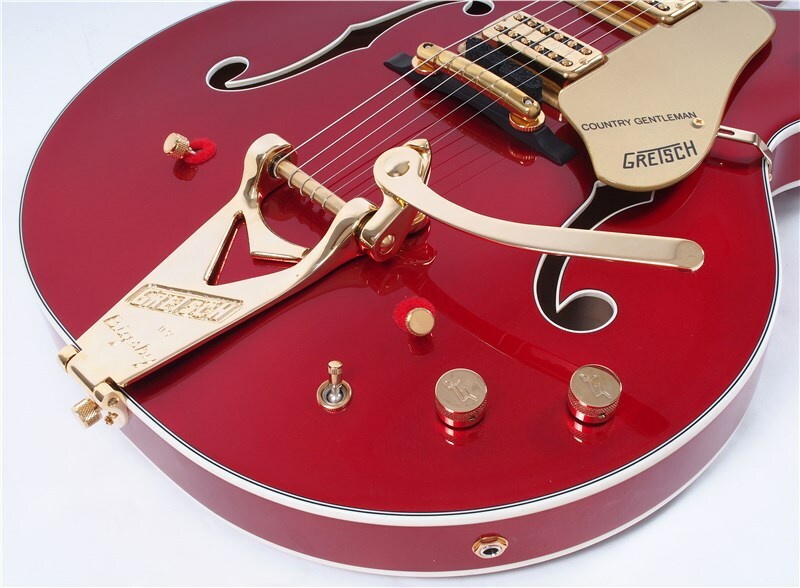 This is one RARE guitar, you don't see Gretsch Custom Shop very often, especially with KILLER spec and finish like this one. 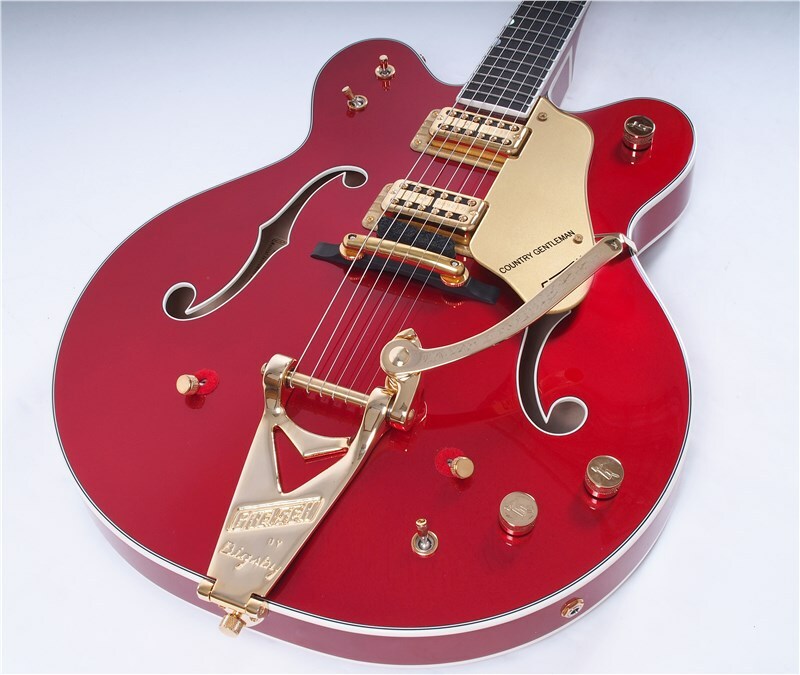 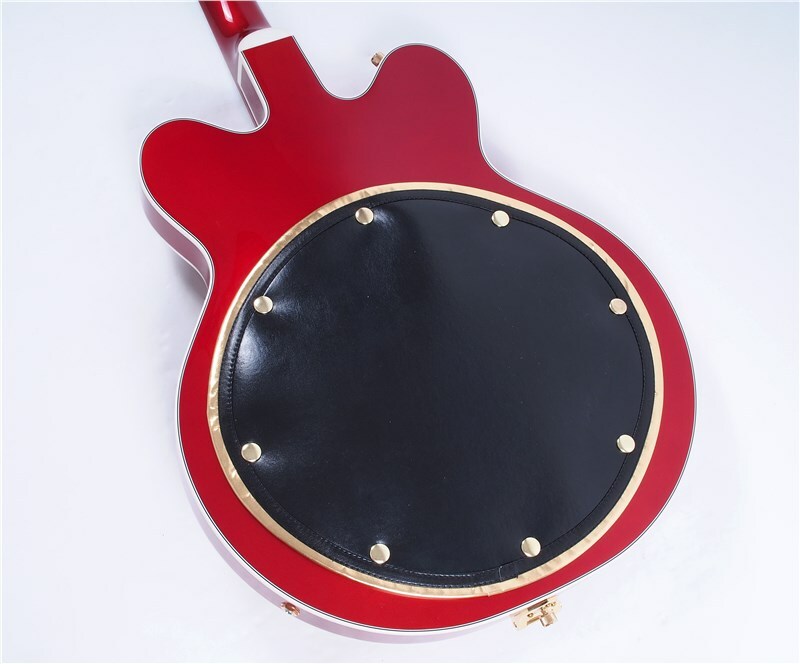 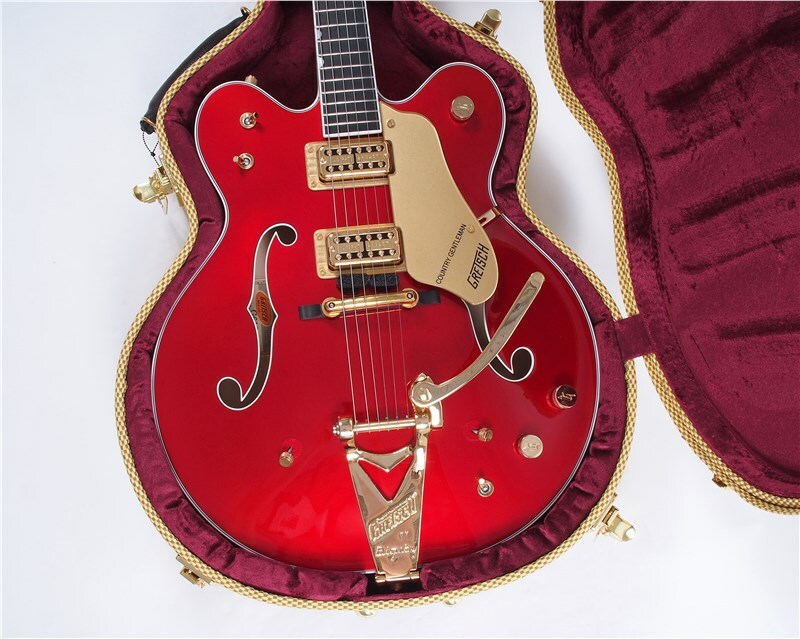 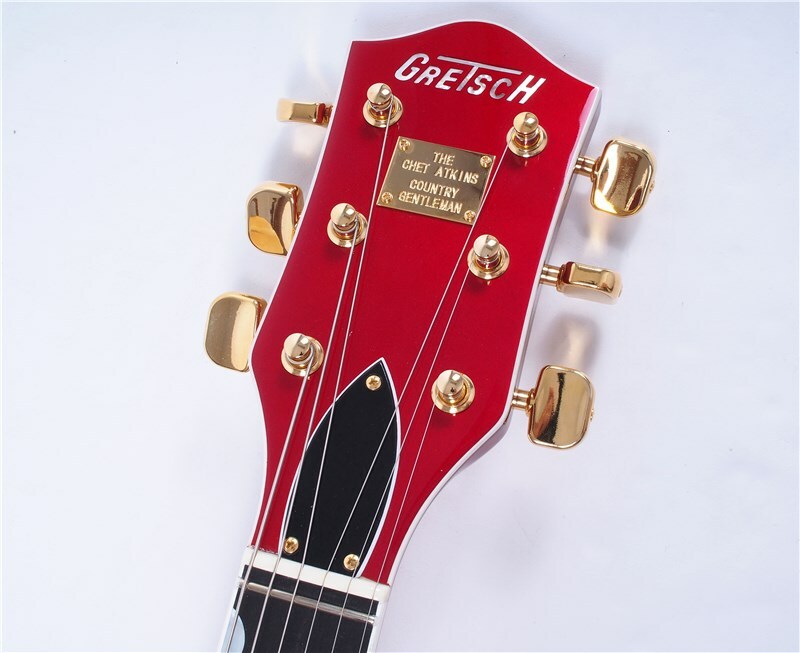 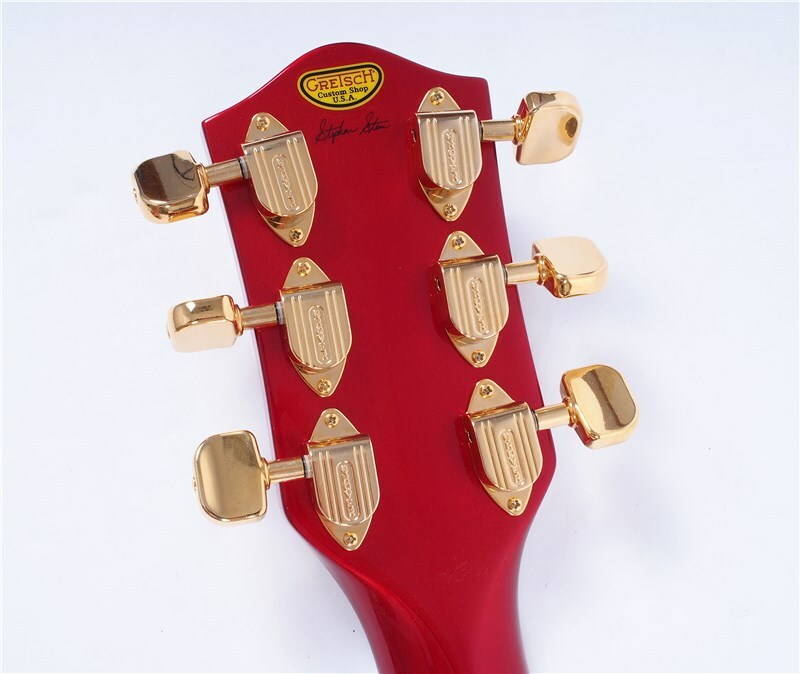 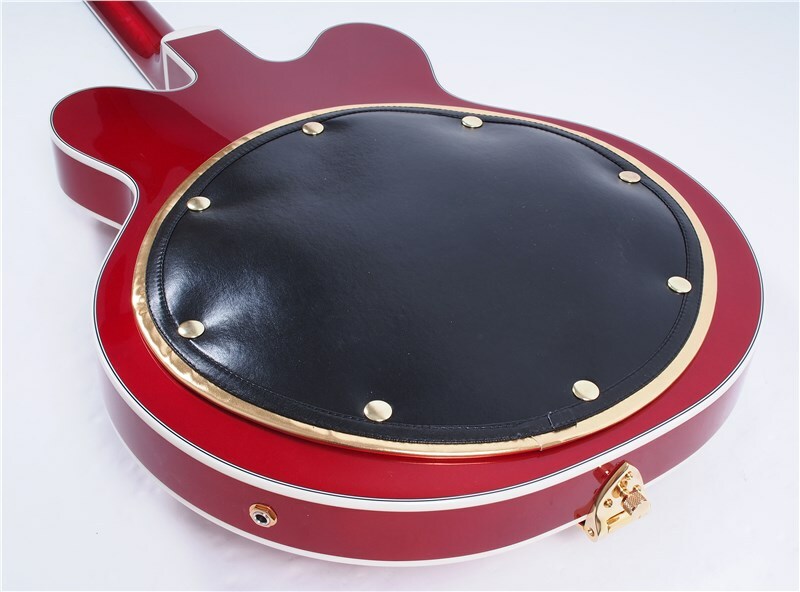 Just like George Harrison's favourite Country Gent, with the twin-mute, but in an awesome New Old Stock Candy Apple Red Finish and Gold Hardware, and Modern Features. 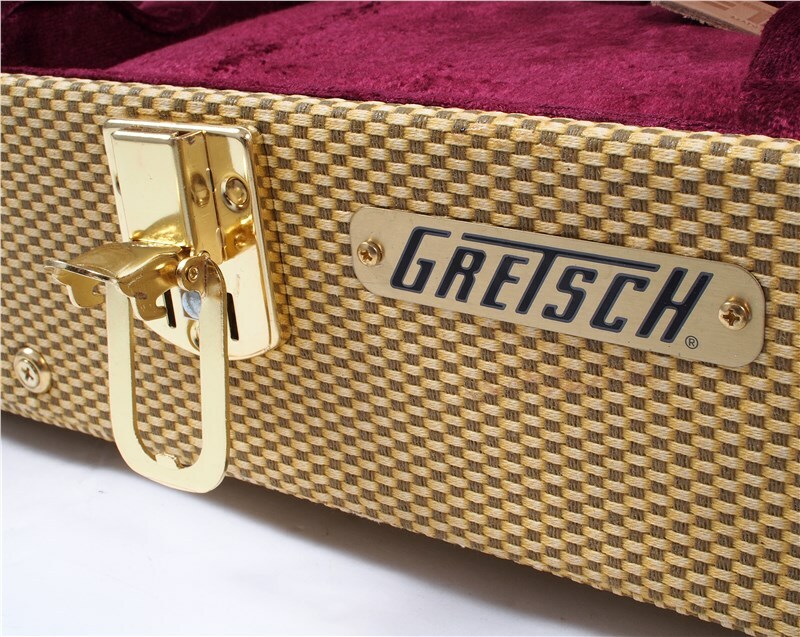 Upgraded with pinned bridge, TV Jones Classic Custom Wounds, Gold Plated Grover® Imperial™ Machine Heads w/ Stairstep Buttons, and Tweed Case. 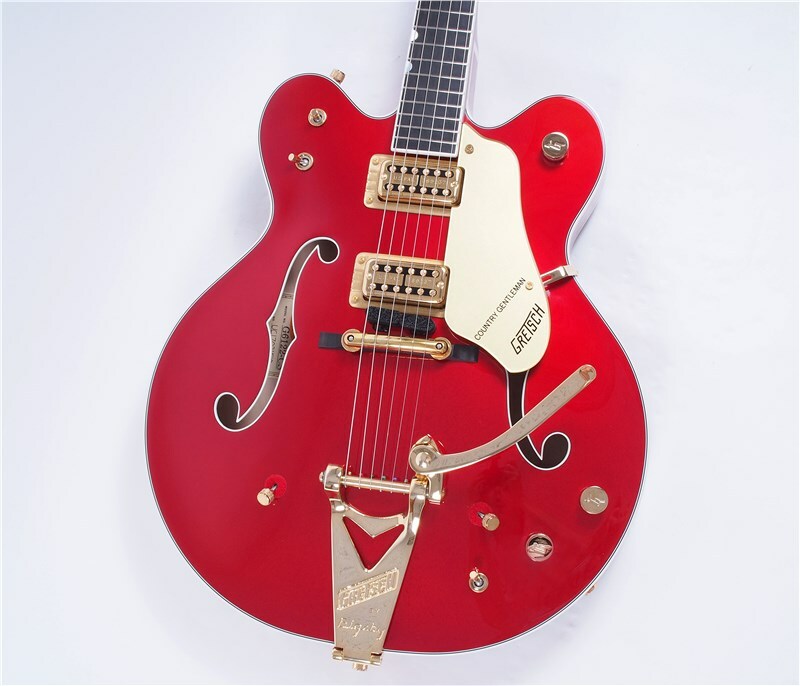 Made famous by The Beatles’ George Harrison, the 1962 Country Gentleman is the sound of rock ‘n’ roll. 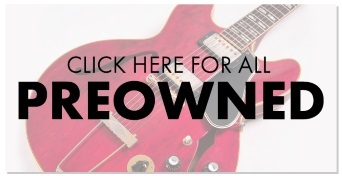 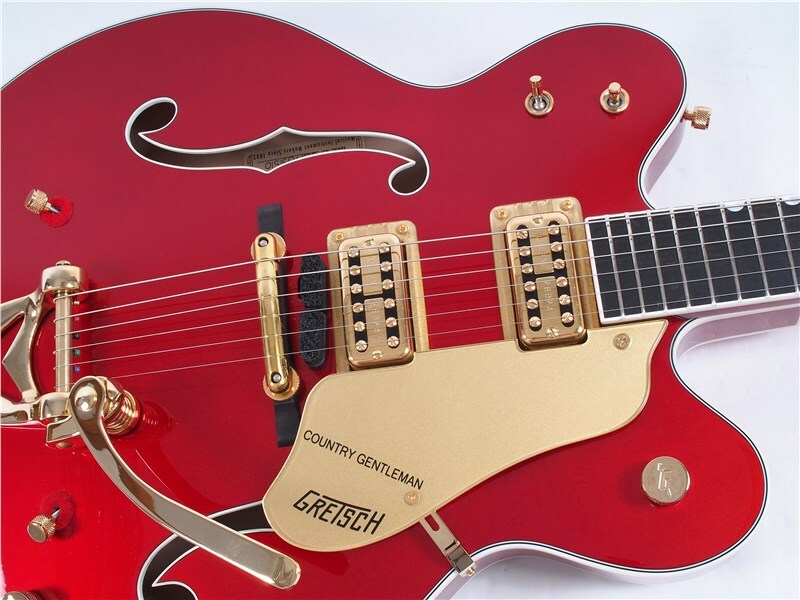 The G6122T-62 Vintage Select Edition '62 Chet Atkins® Country Gentleman® Hollow Body with Bigsby® has the unmistakable sound and style that marked the beginning of a musical invasion. 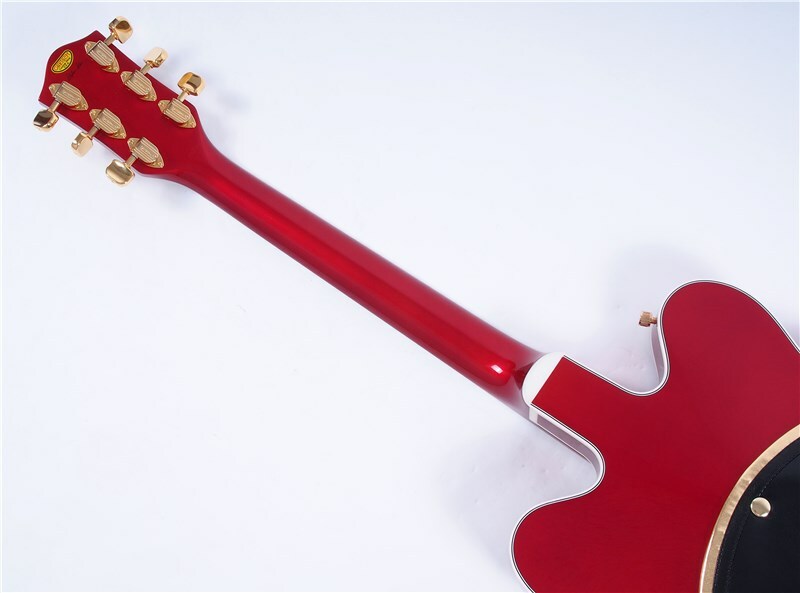 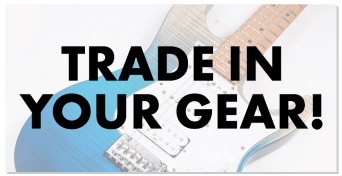 Sonically, this guitar is ready to tear it up with flexible tone that fits any musical situation. 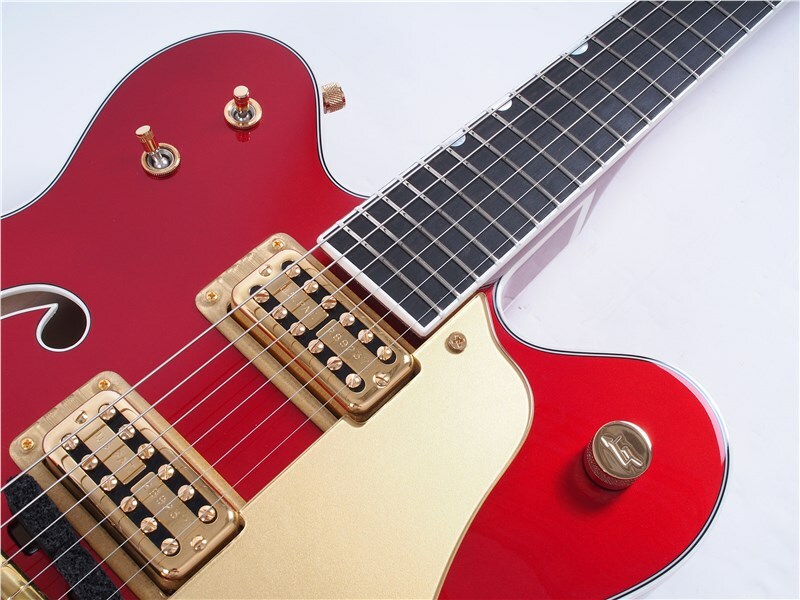 A pair of TV Jones® Classic pickups responds to every pick stroke or strum with refined, articulate tone. 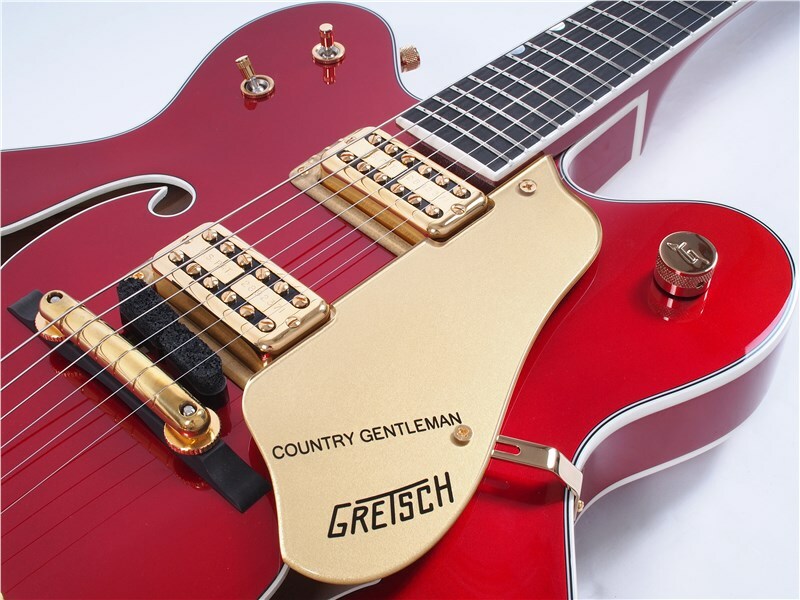 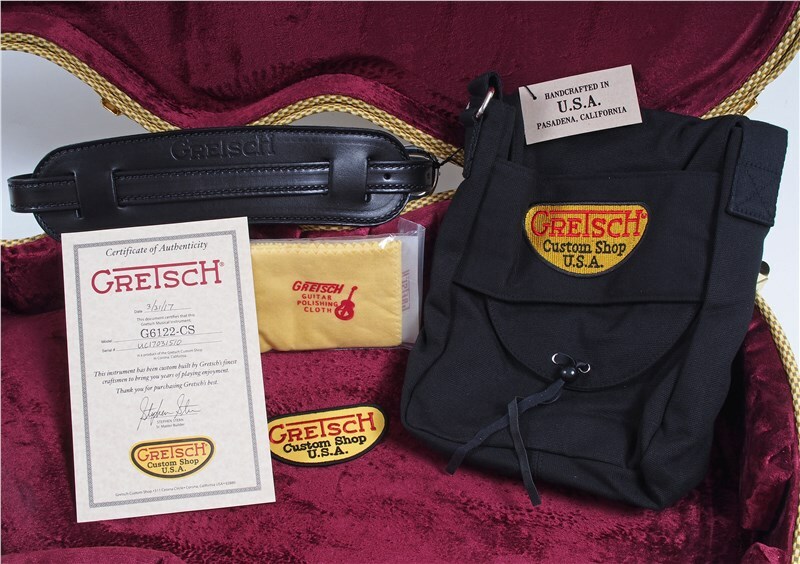 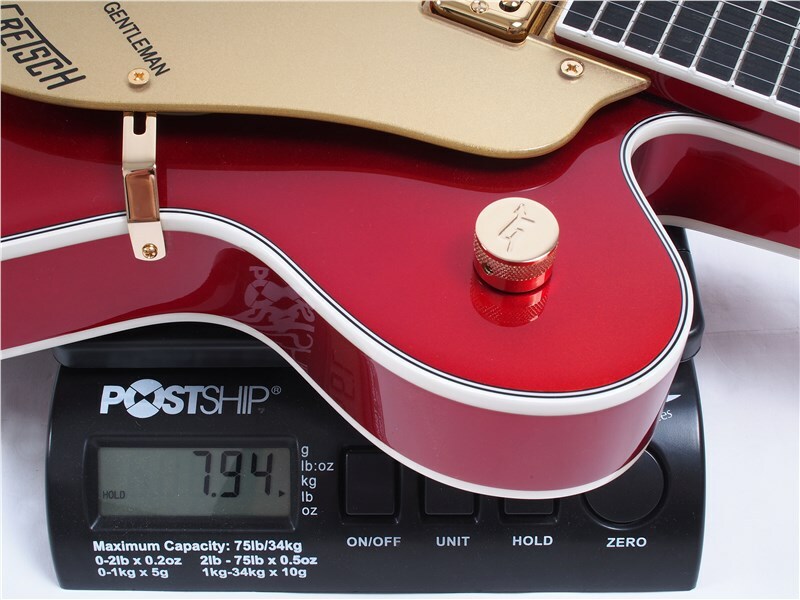 Traditional Gretsch controls—including per-pickup volume controls, master volume, a three-way tone switch—allow you to create countless tonal variations for a personalized tone. 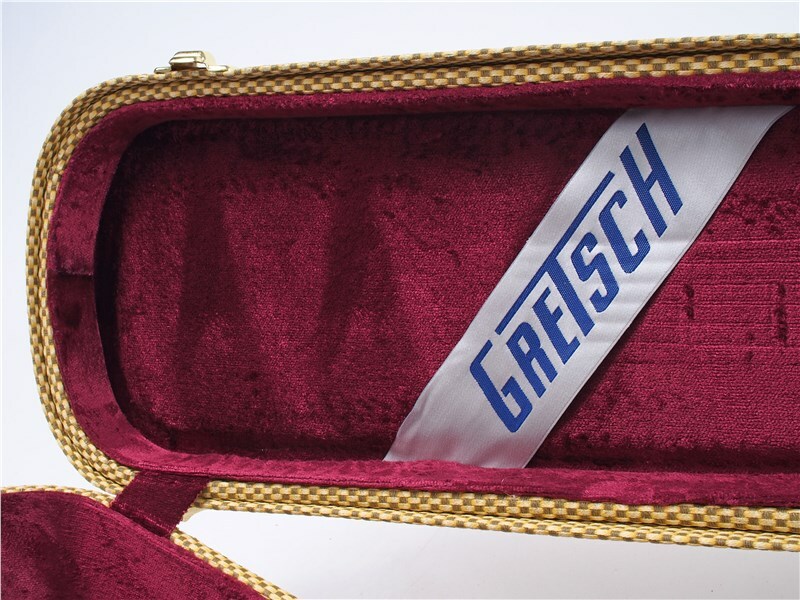 The new Gretsch “Squeezebox” paper-in-oil capacitors deliver silky vintage high end. 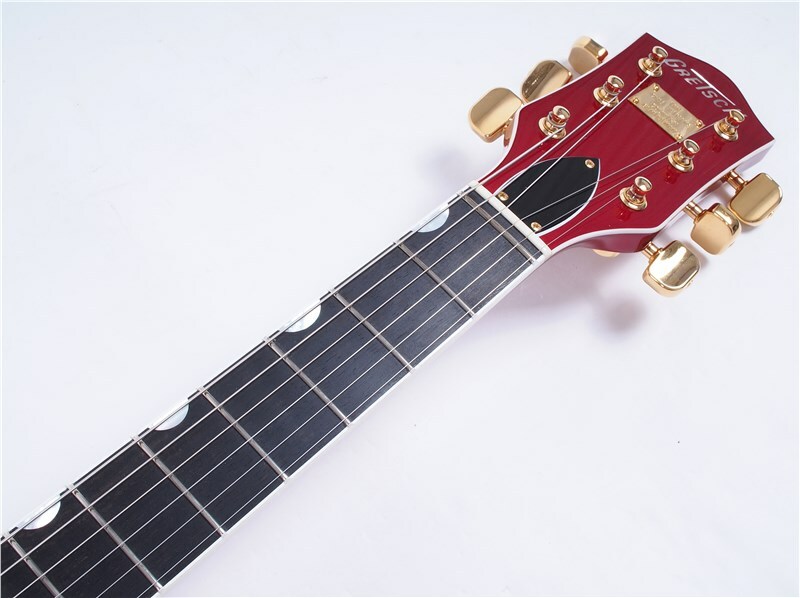 The standard “U”-shaped maple neck bears a 12”-radius ebony fingerboard with 22 frets and zero-fret for a memorable playing experience that works with any style. 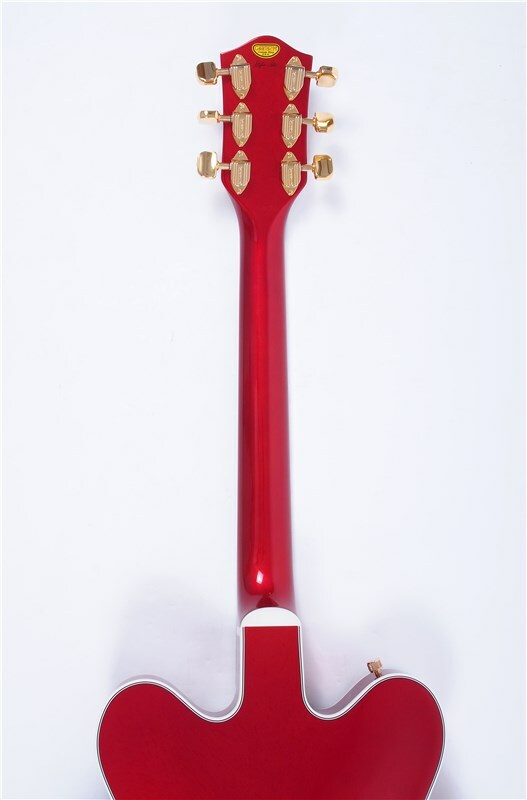 A pinned “rocking” bar bridge reacts in concert with the Bigsby B6GVT vibrato tailpiece for stable tuning while the bone nut lets the strings slide freely without binding in the slots. 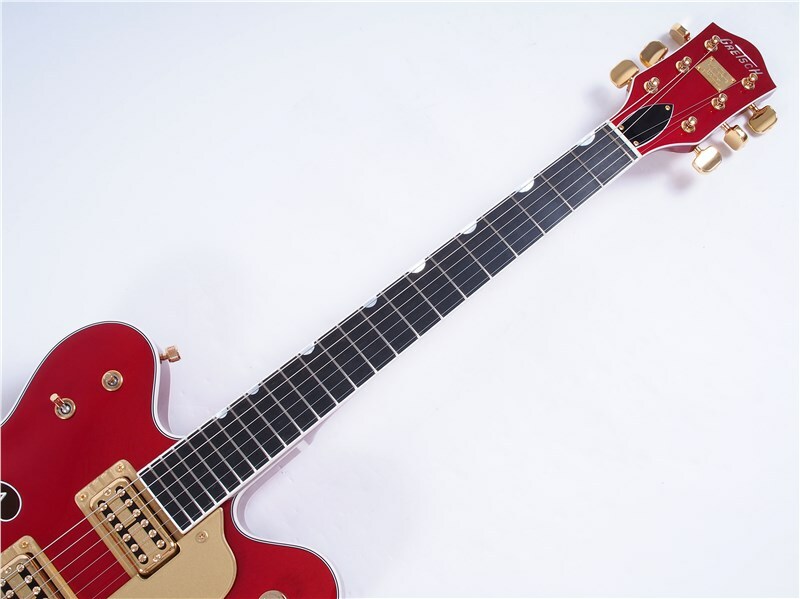 A true rock ‘n’ roll classic, this guitar features the appointments that made this guitar a legend—dual foam string mutes with red felt surrounds, standby switch, laminated 3-ply maple top with simulated F Holes, gold “G Arrow” control knobs, aged white binding with black purfling, gloss urethane finish, aged pearloid thumbnail inlays, gold vintage thick plexi pickguard with Gretsch logo and gold Butterbean tuning machines, '64 Style. 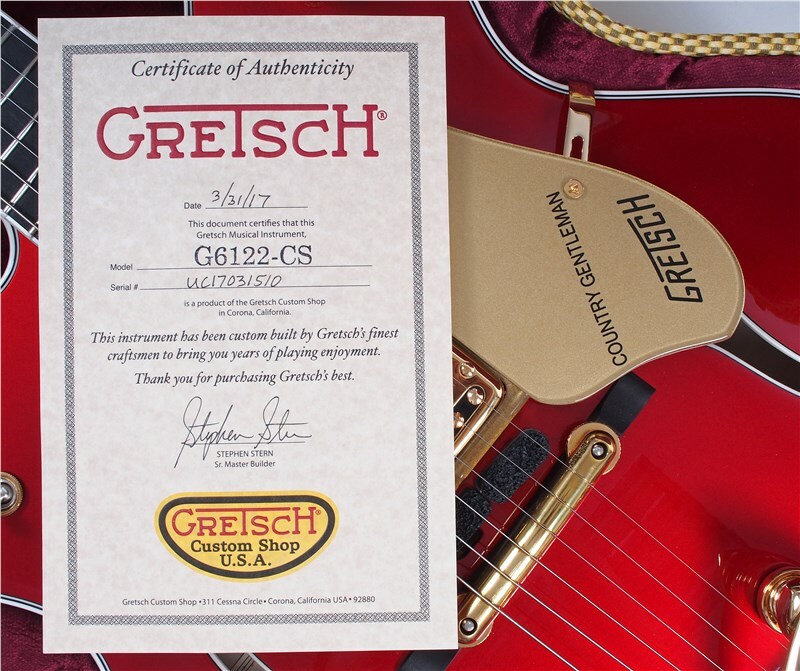 A distinguished instrument from the earliest days of the British Invasion, the G6122T-62 Vintage Select Edition '62 Chet Atkins® Country Gentleman® Hollow Body with Bigsby® is the guitar that laid down the foundation of rock as we know it.